It’s winter and it’s cold outside. Or it’s July and the sun blazes. Why slosh through the snow or crowded subway to your music lesson? Hey Joe Guitar comes right to your Manhattan or Brooklyn doorstep. In-home or in-office music lessons are held any day of the week and at any reasonable hour (before we all turn into pumpkins). Whatever instrument you wish to master, Hey Joe Guitar has New York City’s best-trained and most energetic music teachers, whether you wish to learn guitar, piano, drums, trumpet, trombone, brass, reeds, saxophone, clarinet flute, violin, viola, cello, strings, accordion, ukulele, banjo, recorder, mandolin, or singing. We will pair you with an experienced and encouraging teacher who will be a good match for your personality. You tell us about yourself and your learning style and we will send you a “fitting” teacher! Your excellent Hey Joe teacher will help you learn to play an instrument correctly or improve your already accomplished technique. If you want only to jam with a teacher once a week, we’ll match you with that type of instructor. If you want to perform live or master an instrument, we’ll send you the right teacher to meet those goals. In other words, we’ll adapt to your needs and your schedule. “Flexibility” is our middle name! As students ourselves, we were fed up with paying for lessons we couldn’t make – whether due to holidays or illness or travel. So we came up with a flexible system that allows you to take your lessons when it’s convenient for you. That means you never pay for teaching time that is not taught. 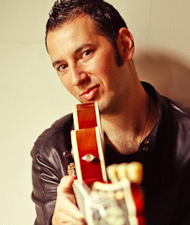 Hey Joe Guitar has been providing in-home music lessons for the past decade in New York City. Our teachers are from top music schools and have a passion for teaching. When you contact us, founder Joe Berger personally sets you up with the best instructor and there to consult with you on your or your child’s journey to learning and instrument.